Xiaomi launched long awaited flagship version Mi4 in India today. It will retail INR 19,999 through Flipkart from February 10. 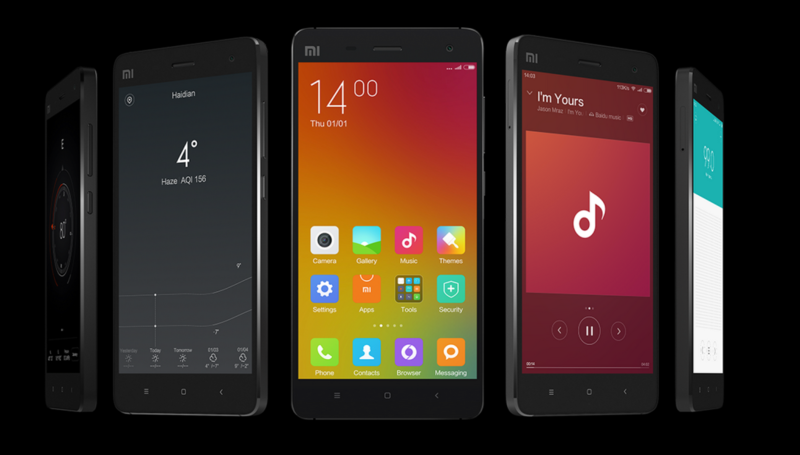 Xiaomi announced the Mi4 in July 2014.On the specification point of view, Mi4 has Qualcomm Snapdragon 801 SoC, 3GB RAM, 5-inch Full HD (1920×1080 resolution) display with 441 ppi pixel den­sity. 16GB inter­nal mem­ory, 13-​megapixel f/1.8 rear camere and 8-​megapixel front shooter and pow­ered by 3080 mAH battery. Mi4 sup­ports 3G, dual band 802.11ac WiFi,and Wifi Direct, Blu­tooth, A-​GPS and an infrared trans­mit­ter. It runs on Android 4.4.3 Kitkat wrapped under MIUI 6. Xiaomi claims that the bat­tery charges to 60% in an hour and fully charged in 2.5 hours. The smartphone has stain­less steel all-​metal frame. The Mi4 India version has No LTE (???) connectivity and also 16GB internal and non expandable(???). The Mi4 goes on sale on February 10 through Flipkart. Registrations for flash sale starts from today evening 6PM.